I wish you could have been there with me. In the darkening evenings of this past November, family and friends of 75 public school students – moms, dads, grandparents, baby brothers, big sisters, neighbors, and others – gathered to watch a special performance that included their children, Ballet Arizona’s professional company and studio company. They crowded in lunchroom auditoriums at five Valley schools, arriving just in time after squeezing the event into busy family schedules at the end of a work day or a rushed family dinner. 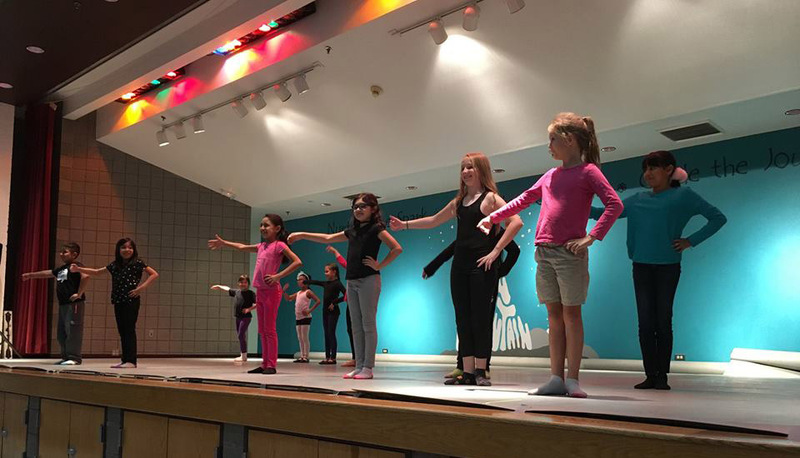 They were there for danceAZ, a Ballet Arizona community engagement program started just this year, providing six weeks of dance classes at Title I elementary schools. The School of Ballet Arizona faculty members met with the students twice each week, providing their first experience of ballet. The introduction was about more than pliés and tendus. It was about having the courage to try something new, learning that commitment to practice helps you improve, believing it is okay to ask for help, and many other life skills that dance helps to develop. After six weeks of classes, the students were part of an evening of performances that included the choreography they learned and practiced. Joining them were the professional company, performing excerpts from Nayon Iovino’s work Inherent presented at New Moves earlier in the year, and the studio company, presenting a medley of iconic dances from the holiday favorite The Nutcracker. The children’s performance was as precious as you would expect – filled with big smiles and little mistakes, bursting with pride from both the students and their admiring audience. For me, there was also tremendous pride in Ballet Arizona and its donors for bringing this opportunity to these students and their audience. What happened for the next 40 minutes took my breath away and I wish you could have been there. As the professional and studio company dancers performed, the audience, seated in lunchroom tables that converted to benches, was absolutely mesmerized. Every person was completely still, captivated by the dancers and the music. No fidgeting, checking of phones or trips to the bathroom – just absolute stillness, as though the audience feared that any movement might cause the experience to stop. And then the applause – as thunderous as crowd of 50 or so could be – accented by a few enthusiastic whoops and whistles. I don’t think I’ve seen anything like it, even with a Symphony Hall crowd. Ballet Arizona’s artistic philosophy is that a performance can change lives. It’s true, and it was something to be witnessed at these five danceAZ performances. A group of people, most of whom had not seen a live dance performance, let alone from a professional ballet company, completely transfixed and transported. Students participating in final danceAZ performance.